But at the end of those of conversations, instead of the prospect of an uprising or revolt against Belichick, there’s a sense of trust. For the most part, Belichick has been spot on, especially when it comes to getting rid of players the fans love. Players like Matt Light, Ty Law, Richard Seymour were let go at the right time. Their careers dwindled after they left the Patriots. Amongst all this madness, Belichick has led his team to 7 Super Bowls, winning 5 of them. They’ve won 15 AFC East Division Titles. The Patriots are favorites (again) to represent the AFC in the Super Bowl come Februray. Regardless of the personnel, Belichick gets his team to win. But this has been with the greatest quarterback to play in the history of the NFL. You can afford to take risks, when the team is led by Tom Brady. As seen throughout the NFL this year, the difference between a great team and a terrible team is the skill of the quarterback. Look at the San Francisco 49ers after they received Jimmy Garoppolo from the Patriots. The 49ers were 1-10 before the trade. There only win coming against an abysmal New York Giants team. They were poised to be the 2nd worst team in the NFL and have a high draft pick in the 2018 draft. Actually, he beat 3 playoff teams, finishing the year with a win against a St. Louis (I mean LA) Rams team who sat most of their stars. So who is Jimmy G? Many fans, including myself, felt the team had wasted a pick on a player that will never see the field. Yet we all collectively said “In Bill We Trust.” Belichick proved to be brilliant by drafting Garoppolo. 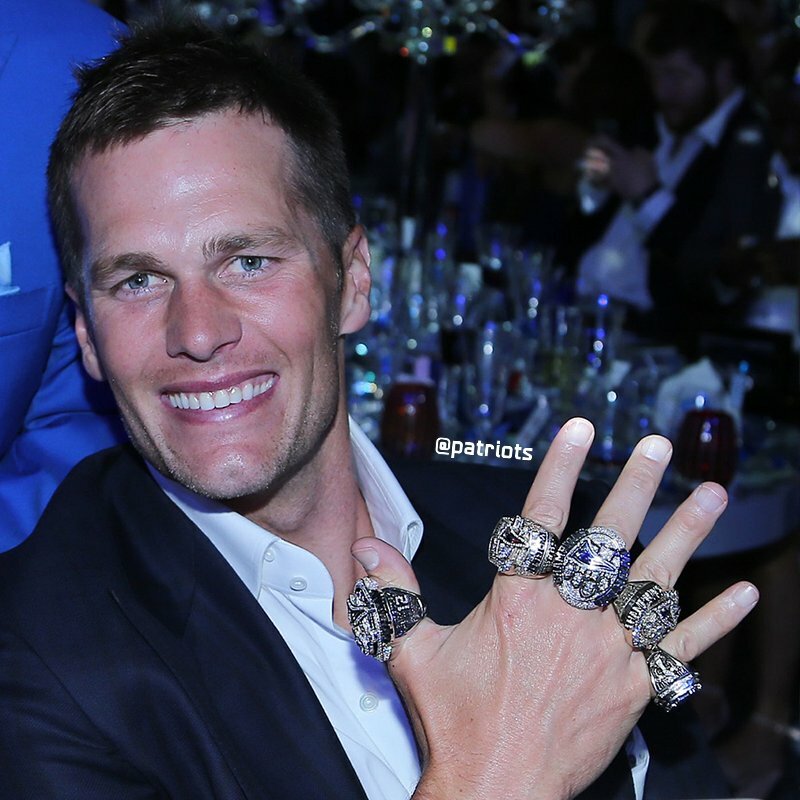 After he joined the team, the Patriots won two Super Bowls in ’15 and ’17. While Brady was suspended for the first 4 games of the 2016-2017 season, Garoppolo threw for 502 yards and 4 touchdowns with a 113.3 passer rating. The Patriots won both games Garoppolo started before Garoppolo was sidelined with a shoulder injury. But it wasn’t just the on the field play that helped the Patriots. Many insiders believe Garoppolo lit a fire under Brady and the competition between the two in practice translated to unbelievable play by Brady on Sundays. Many coaches credited Garoppolo with helping the defense prepare for Russell Wilson in the 2015 Super Bowl. Slowly but surely, Garoppolo was being prepped to take over for Brady once Brady retired and Patriot fans were excited. 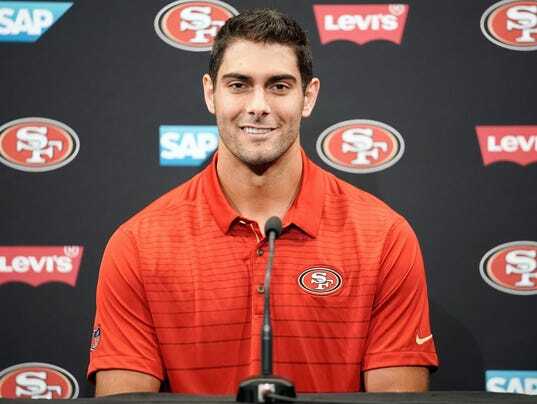 Then came October 30th, 2017, when Garoppolo was traded to the San Francisco 49ers for a 2nd round pick in the upcoming 2018 draft. Well, Garoppolo’s contract was expiring at the end of the year. There was reason to believe teams were going to offer franchise quarterback type money to the 26-year old. Belichick wasn’t about to pay that much for someone riding the bench, which make sense. What doesn’t make sense is who they got rid of and what they got for it. Why can Patriot fans no longer trust Belichick? …and he did that with a wide receiving core not nearly as talented as the one in Foxboro. In his early career, Garoppolo has shown he is talented and a winner. That combination, along with learning from the best to ever play the quarterback position, makes it hard to trust Bill on this move. If Garoppolo has just an ounce of the work ethic Brady possesses, he’s going to be a top tier quarterback. Belichick traded away a potential franchise quarterback for essentially nothing. (He will most likely draft a defensive back from Rutgers with that pick.) All so Brady could retire as a Patriot.